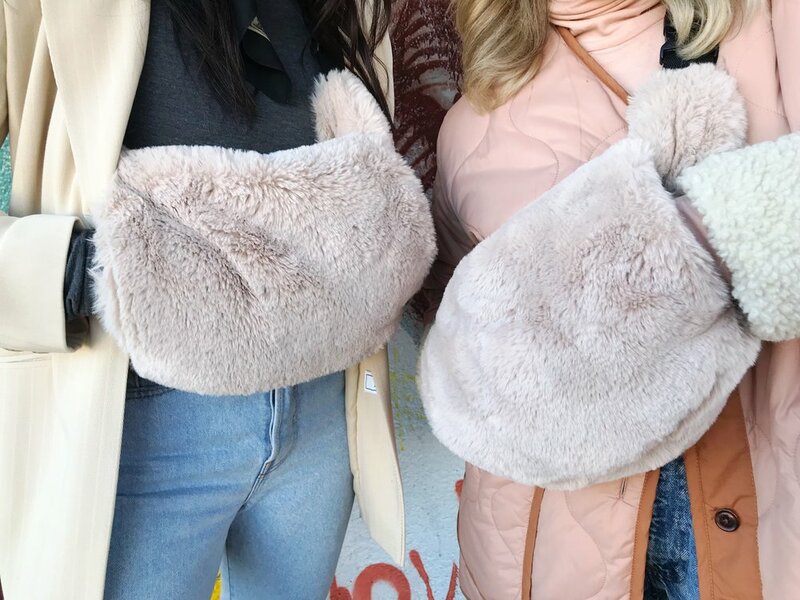 We found ourselves roaming through the mall in Japantown a few weeks back when our eyes locked in on a faux fur fanny pack--complete with even a little hand warmer compartment. Before we could argue about who gets to take it home, the shop woman pulled out a second bag, and negotiated a deal if we bought two. 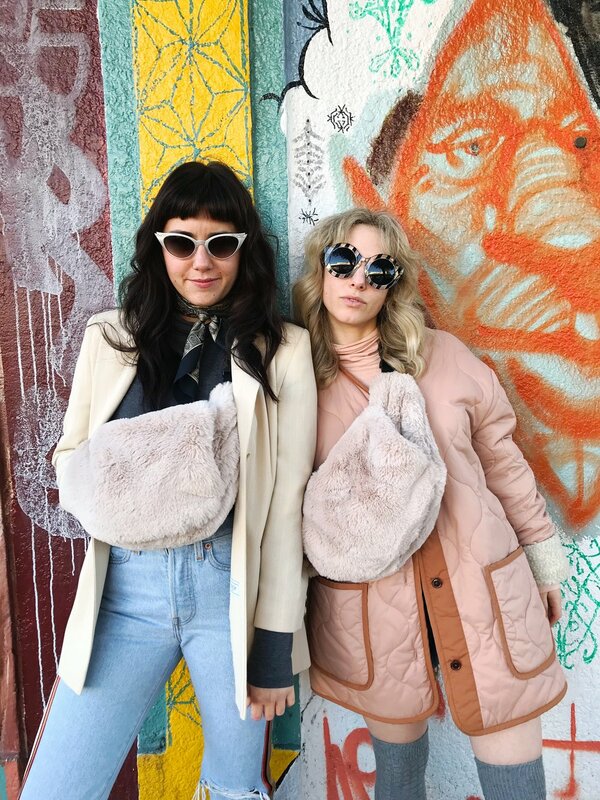 We did not want to puff puff pass on this major muff, and the rest is clearly history.